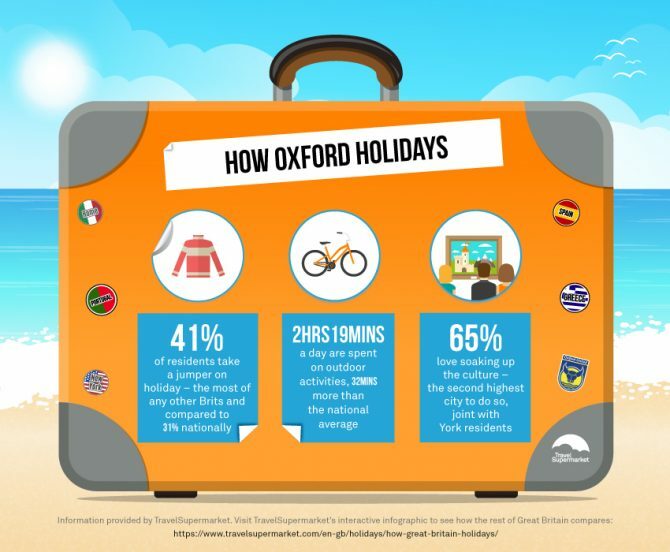 Holidaymakers from Oxford are more prepared for their holidays than any other British tourist, packing for every eventuality – come rain or shine. According to research from travel price comparison website, TravelSupermarket into Brits’ holiday habits, almost a third (31 per cent) of Oxford residents admit to taking an umbrella on holiday and two fifths (41 per cent) pack warm clothes. Perhaps they have a reason for being over prepared as Oxford residents spend more time on outdoor holiday adventures than anyone else in Britain. They spend an average of 139 minutes daily going hiking, mountain biking and other pursuits compared to the national average of just 107 minutes. But it’s not just outdoor activities that are filling their days. Almost two thirds of Oxford tourists (65 per cent) love to spend time visiting museums and soaking up the culture, spending an average of 177 minutes every day taking in the sights of their destination. 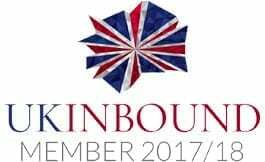 This busy schedule of activities could be the reason why Oxford holidaymakers are the latest of all Brits to indulge in a tipple. They don’t enjoy an alcoholic drink until 5.07pm on their first full day of the holiday, that’s almost an hour later than the national average of 4.15pm. Not ones to miss a moment, they take more time than all Brits capturing those all-important holiday moments on camera – spending an average of an hour and a half behind the lens. Food is one of the biggest extravagances for Oxford travellers with half (50%) saying this is where most of their money goes. They also love checking out the local supermarkets, browsing the shelves and local fare, more than anyone else in Britain (54 per cent). Research was conducted by Opinium Research to a sample of 4,049 UK adults who have been on holiday within the last 3 years between 31st March to 12th April 2016. For further information please contact Brands2Life at travelsupermarket@brands2life.com or 0207 592 1200.